"This is an astonishingly rare, signed globe from the creator of Empire Earth, Rick Goodman. This was given to me right before the closing of Stainless Steel Studios in November 2005. The globe is also a clock, but I do not know if it still works. 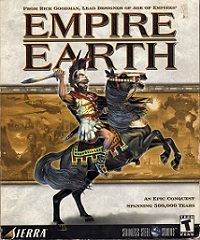 If you're a fan of Empire Earth, grab this piece of history while you can!"